The Story...this print resulted from a "second" visit and attempt to photograph; well, actually the backside of an old building across the street, at Milltown, Kentucky. After mulling around the building a bit, a herd of cows came down from an upper field to investigate my presense. They probably thought I was the farmer who cared for them, possibly wanting some hay or dry feed. 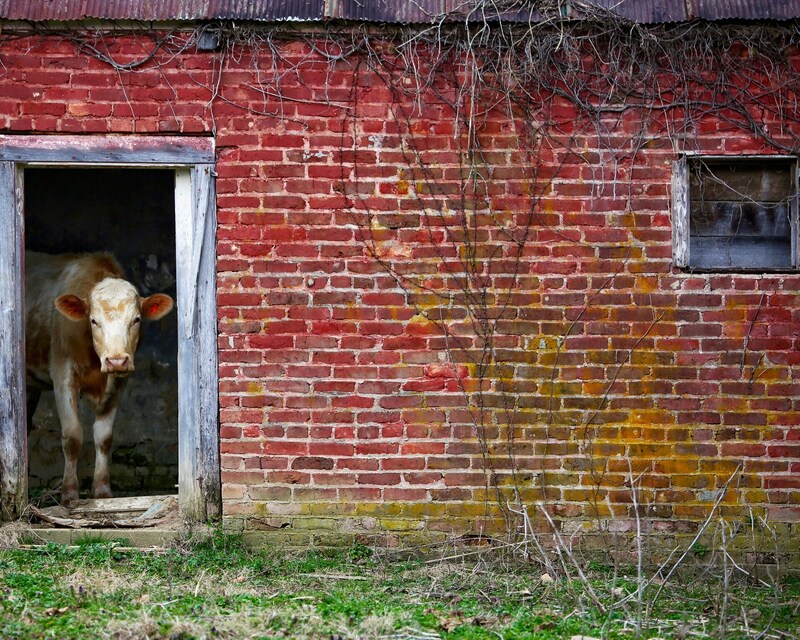 Since the image I had in mind for the old building wasn't working out, I re-focused my attention to the cattle that were surrounding the old brick building. Luckily, this Gal happened to be inside the red brick building, creating an image even more unique. Pic taken April 2019.